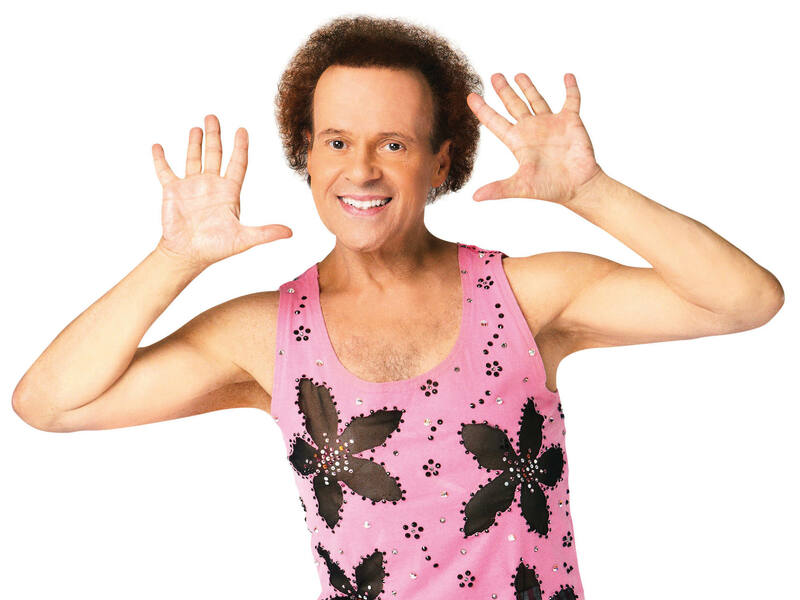 When I was a kid, I watched Richard Simmons visit the homes of bedridden people with weight problems. I felt the pain and suffering they endured. I was so inspired by Richard’s compassion for them. He’s my earliest motivation to eat healthily and exercise and to offer support and understanding to people with excess weight issues. To care for my health, sustain our planet, and be kind to animals, I eat unprocessed, plant-based food, i.e., beans, vegetables, grains, fruit, seeds, and nuts. I currently have no health problems and don’t take any medication, I’m in excellent physical condition, I rarely get sick, and my blood test results consistently show all categories in the reference range. For these reasons, I’d like to share the strategies I use to eat healthily, stay fit, and feel good. 1. I eat to not know hunger. According to the World Food Programme, 1 in 7 people are hungry, 795 million people don’t have enough food, and 9.1 million people die of hunger every year. Those are staggering statistics, especially in a world where an estimated one-third of all food produced is wasted. I can’t in good conscience complain about food when millions of people have none to eat. It’s a slap in the face of the starving. I don’t eat unless I’m hungry, I stop eating when I’m full, and I’m satisfied with every meal I eat if, after it’s over, I’m not hungry. I’ve trained my mind to be grateful for the most basic food such as an apple or banana–food that millions of people would give a limb to eat. 2. I eat to not know pain and suffering. When I eat, I envision the food I’m putting into my mouth going through my esophagus, stomach, small intestine, etc. I think critically about what my body will do with that food and what my body needs to excel. I don’t take its well-being for granted and I treat it with respect. I put food in my mouth that will help my body survive and thrive. I also eat to fuel my brain, which affects my productivity. I never have digestive issues and I always feel energized because vitamins, minerals, and antioxidants nourish the body. Good health allows me to be in play to improve the world–the purpose of my life. I view putting processed food in my body as giving my body bad fuel–so I don’t do it. Refined sugar, for example, leads to a failure to regulate insulin, gut bacteria, inflammation, and mood disorders. Studies abound on the connection between processed sugar and impaired brain function. Cholesterol and saturated fat cause heart disease, stroke, diabetes, and other chronic conditions. Processed food is filled with harmful chemicals, cheap fats, and unhealthy vegetable oils, which is why it’s important to check these scorecards to learn about their risks before ingesting them. Processed food is also altered to be addictive–it’s literally engineered for overconsumption. I don’t allow the momentary experience of eating bad food to outweigh these significant risks to my health and well-being. Many medical conditions and diseases are preventable if we eat properly and exercise. I choose to do everything I can to avoid suffering and to ensure people who care about me don’t have to worry about my health. I’ve heard the screams of pain from people in the hospital. They haunt me and inspire me to eat clean. 3. I’ve reconditioned my brain to stop following cultural norms. We’re victims of a culture that spares no expense to hypnotize us into conformity. You need a new car, television, cell phone, house. I do the opposite of what our broken culture prescribes. I buy the cheapest phone and keep it until it dies, I don’t have television, my car is 14 years old, and I’ve always lived below my means. When it comes to food, I pretend bad food doesn’t exist so there is no temptation to eat it. When I go to the grocery store, I don’t walk down those aisles. I view my body as needing a certain amount of blueberries, grapefruit, avocado, kale, sweet potato, broccoli, garlic, ginger, turmeric, etc. each day. I can only eat so much in a day so I can’t afford to waste space in my stomach on garbage because then I’m going to fall short of giving my body what it needs in the day. I don’t take my body for granted. Every time I put something in my mouth, I’m making a choice. I consciously choose compassion, sustainability, and health. I’m always acutely aware of the impact of my eating decisions–on my body, animals, and the planet. It’s never a burden and it’s always an easy choice because I’ve trained my mind to not allow food to control me. To the contrary, I control food. It’s an empowering, rewarding, and confidence-building lifestyle. 4. I’m passionate about food. I cook all of my own meals. I get excited to taste new recipes. I think about how my body is positively reacting to all of the nutrients I’m feeding it and how together those nutrients help my body function. I enjoy my food so much that I have to force myself to rotate recipes because I could eat the same dishes every day. I never think about eating a steak, eggs, or ice cream because the food I eat tastes delicious and I always feel terrific after I eat it. I’m not sacrificing anything and I don’t miss anything. There’s never a time when I eat something and regret it. To the contrary, the food I eat boosts my mood. If I can’t identify an ingredient, I don’t eat it. I like Pretzels but I don’t eat them because they’re empty calories. If you’re going to eat them–or any processed food, I recommend doing some due diligence because there’s a big difference between these pretzels and these pretzels. I also only drink water, homemade almond milk, or freshly squeezed juice from celery, kale, cucumber, lemon, etc. I’ve been drinking water only for decades. It’s all my body needs. I drink to not know thirst. If you’re struggling with recipes that excite you, I recommend exploring and experimenting until you find your passion for good food. 5. Exercise. Finally, I exercise frequently. I view exercise like brushing my teeth. I never think of it as a choice. I’ve been exercising daily for decades. The human body requires stimulation and toning or it atrophies. Lack of exercise can lead to weight gain, osteoporosis, decreased energy, heart disease, diabetes, and chronic illness. This lifestyle may be hard to imagine at first because it isn’t your norm. It may take time to reprogram your brain. But once you make it a routine, it will be hard to remember living any other way. It’s analogous to eating animals and then no longer eating them. If you’re interested in changing the way you think about food, you may consider challenging yourself the next time you eat. If you put salt on food, try eating it without salt. If you use salad dressing with foreign ingredients, try a fresh squeezed lemon and tahini instead. If you eat cookies, try kale chips with nutritional yeast. If you drink soda, try water. And as you do, as you take each bite or swallow each gulp, bask in the good you’re doing for your body, animals, and the planet. Soak in all the rewards of good eating. And then pass it on. You’ll make Richard proud. To learn more about this topic, consider watching How to Beat Food Addiction: The Psychology of Eating. Excellent article in so many ways! Even though I follow a vegan diet this is a good reminder that not all vegan food is healthy. This gave me some things to consider and I need to make real changes in my eating. I also like how you touched on American being a nation of consumerism. We are brainwashed constantly into thinking we need a newer whatever and in buying into this concept we make ourselves “wage slaves” while the already rich get even richer while we buy stuff we don’t need. Thank you for your kind note, Denise. I’m glad you found it helpful. You have a good handle on our culture. Good luck with your planned changes. I’m rooting for you! Thank you Andrew. My diet is nowhere where it needs to be however I’ve been doing a lot of #5 per my tennis obsession therefore it’s slowly coming together. This article hits on a ton of realities in modern day America. Gotta spend more of my time on the AK Korner and maybe I’ll gain a step on the court lol. Thanks, Mike. Let me know if you need any advice or support. Glad to help, my friend. Andrew, you are amazing. Thank you for being you. Thank you for the kind note, Abby. Hope all is well. I absolutely love this and agree wholeheartedly! I try to eat a balanced vegan diet and exercise almost every day. People think i’m extreme but i love living this way and would not change in a minute. That’s wonderful, Elaine! Thank you for your kind remarks and congratulations on your lifestyle! I share and appreciate your passion for plant-based eating! Andrew, thank you for this very helpful and amazing post. I’m going to copy it to my documents so I can study it from time to time. I will share it–probably tweet it , too. Your work must help a lot of non-human animals, human animals and the environment! Kudos!